The nectarine (Prunus persica var. nucipersica) is a fruit that belongs to the genus Prunus, which includes the cherry and plum. Nectarines are available in many different sizes, and their colors range from yellow to white, depending on the country of origin. 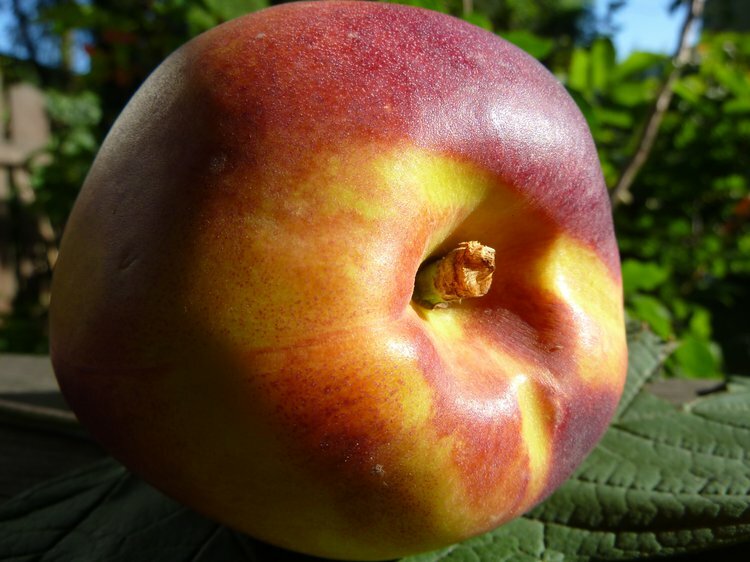 Unlike peaches, nectarines have a smooth outer surface rather than a fuzzy, velvety surface. Here are 7 health benefits of nectarines. 1. Nectarines may possess anti-cancer effects. Nectarines possess anti-cancer and anti-tumor properties through phenolic and carotenoid compounds that fight various cancers. Also, research from AgriLife Research suggests that the chlorogenic and neochlorogenic components in nectarines handled killing the cancer cells while not affecting the healthy cells. The beta-carotene found in nectarines has a particular effect on lung cancer. 2. Nectarines can help maintain a healthy blood pressure. Nectarines have a high potassium to sodium ratio. One large nectarine contains 314 mg of potassium, compared to zero milligrams of sodium. This helps the blood vessels relax and maintains proper blood pressure. 3. Nectarines can help improve your heart’s health. The recommended 4,700 mg of potassium is not obtained by many individuals in the United States, according to the National Health and Nutrition Examination Survey, despite the benefits of increased potassium intake. 4. Nectarines could help improve your gut health. Nectarines are an excellent source of fiber. A large nectarine contains 3 grams of dietary fiber. The daily recommended dietary fiber intake for men and women are 38 grams and 25 grams, respectively. Dietary fiber may help prevent constipation, making your bowel movement easier to manage. 5. Nectarines can help decrease cholesterol levels. Nectarines have antioxidant activity that reduces low-density lipoprotein “bad” cholesterol levels while stimulating good HDL “good” cholesterol. This aids in reducing the risk of developing diseases related to the heart and maintains optimal cardiovascular health. 6. Nectarines can help individuals fight infections. One nectarine contains 14 percent of the vitamin C daily requirements. Vitamin C is a potent natural water-soluble antioxidant that helps the body develop resistance against infectious agents and eliminates cancer-causing free radicals in the body. 7. Nectarines may not spike your blood sugar levels. Foods high on the glycemic index like as white rice and white bread break down quickly and cause blood sugar and insulin level spikes after meals, which is followed by rapidly dropping blood sugar levels. Nectarines are slowly absorbed into the bloodstream, which prevents sugar crashes, sugar cravings, and mood swings. Gorton, H. C., & Jarvis, K. (1999). The effectiveness of vitamin C in preventing and relieving the symptoms of virus-induced respiratory infections. Journal of manipulative and physiological therapeutics, 22(8), 530-533. Hou, N., Liu, N., Han, J., Yan, Y., & Li, J. (2017). Chlorogenic acid induces reactive oxygen species generation and inhibits the viability of human colon cancer cells. Anti-cancer drugs, 28(1), 59-65.